Most scholars have not taken Cuban-American terrorism in the 1970s seriously, despite the unprecedented campaign of terror it unleashed. 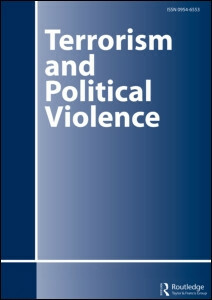 Borrowing a framework of self-identity usually applied to other terrorist groups and using case studies of the Cuban Nationalism Movement in New Jersey and of Alpha 66 in Florida, this article argues that Cuban-American political ideology was the key to its impact and its support from communities in Florida and New Jersey. Militant exiles saw themselves as betrayed by two enemy states, entitled to rule in their homeland, and imbued with a mission of civilizational renewal. In these ways, Cuban-American terrorists were similar to the Taliban in Afghanistan and their reign of terror in the 1970s should be appreciated as a major episode in the history of U.S. and global terrorism.